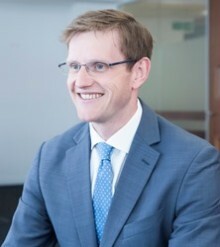 James is a partner and joint head of the Thomas Cooper Sports Team in the firm’s London office. He regularly advises players, clubs and intermediaries in relation to transfers, image rights and contract negotiations. James also advises in respect of disciplinary issues at a Club and FA level and has significant experience of bringing claims at FIFA and dealing with claims and appeals in the Court of Arbitration for Sport. James also acts for football associations and frequently advises on the regulatory requirements of the English FA.